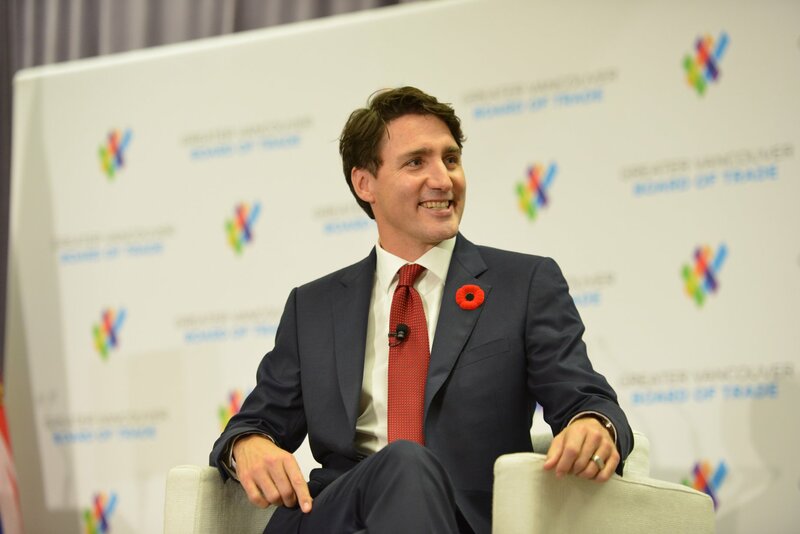 Prime Minister Justin Trudeau spoke to members of Vancouver’s business community Thursday November 1 and his message was clear, Canada is looking to trade. Trudeau referenced the government’s recently reached agreements on NAFTA, now known as the United States-Mexico-Canada Agreement, the Trans-Pacific Partnership, which goes into effect at the end of the year and links Canada to 10 other nations, including Australia, Japan and New Zealand, and the Comprehensive Economic and Trade Agreement with the European Union, which was signed in . Trudeau referenced a visit to the Board of Trade back in 2014 after he was first elected Liberal Party leader.